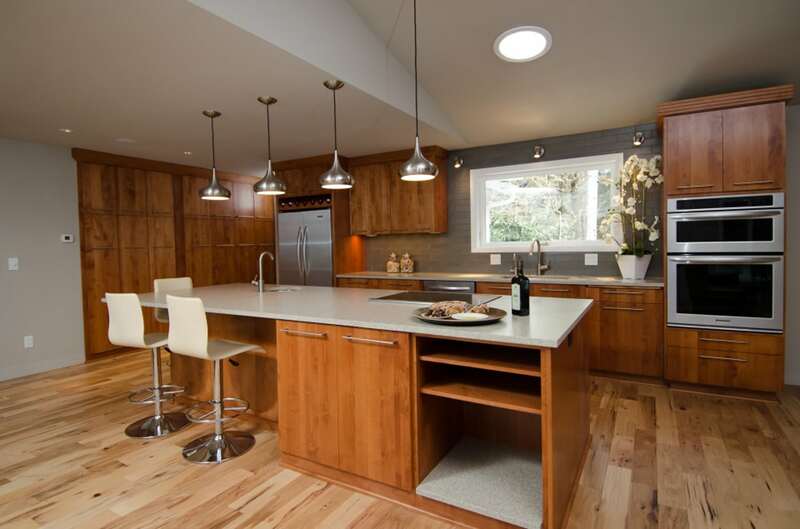 An upper story above the old portion of the space kept the ceiling above most of the kitchen at 8 feet, but continuing the line of pendants along the island created a seamless transition to a vaulted ceiling in the new space. 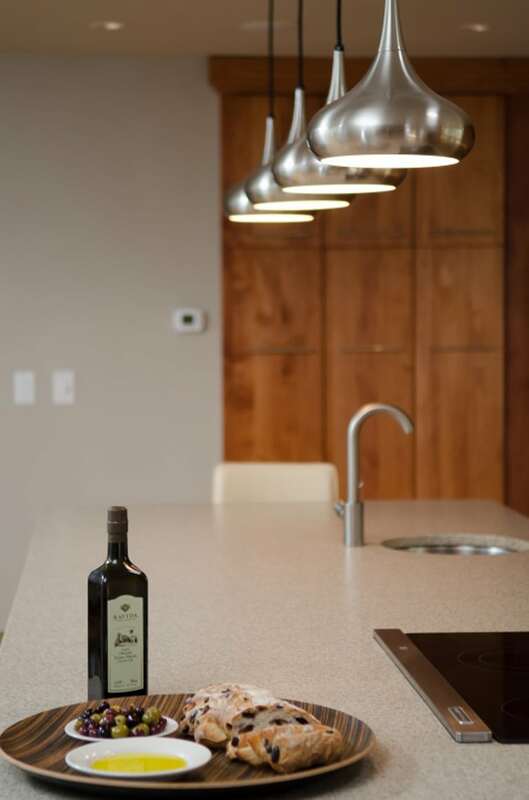 Pangaea created this kitchen with function in mind, carefully planning how the couple would ultimately use the space. 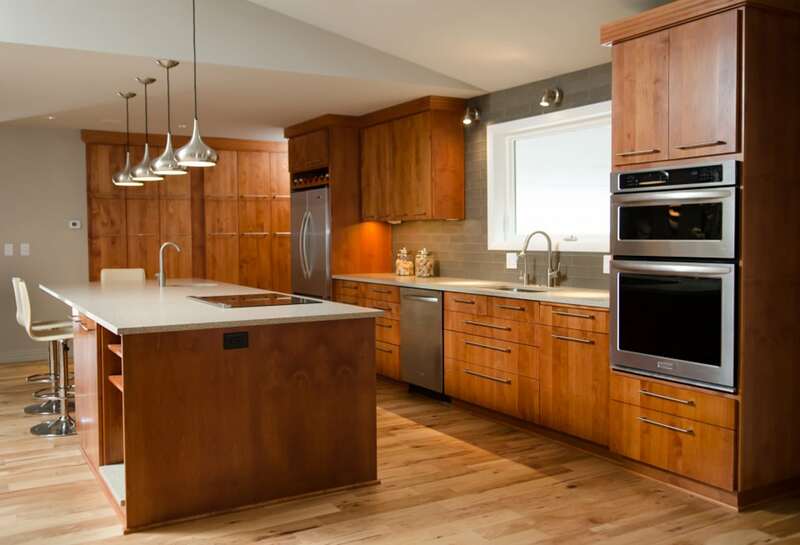 A cabinet dedicated to breakfast (it is the most important meal of the day, after all) is next to the refrigerator and across from the second sink keeping everything needed within easy reach and at the bar end of the island where the seating is located. 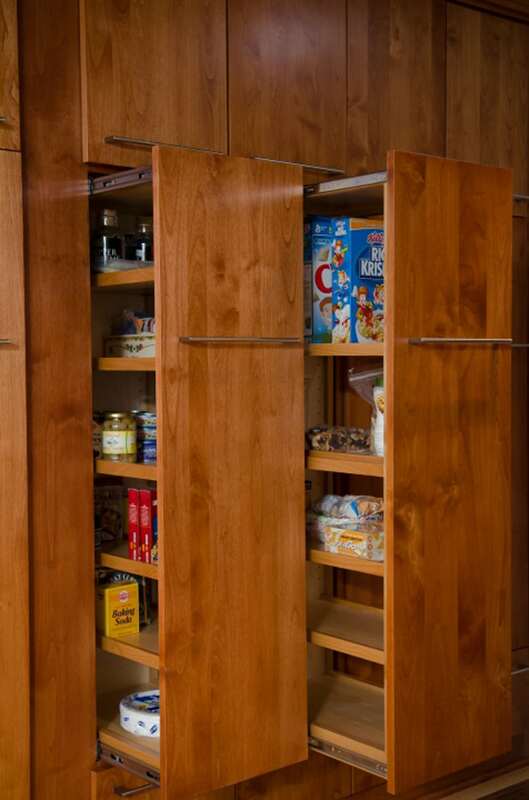 Drawers were used in almost every part of the design, allowing easy access to even the most cavernous cabinet. 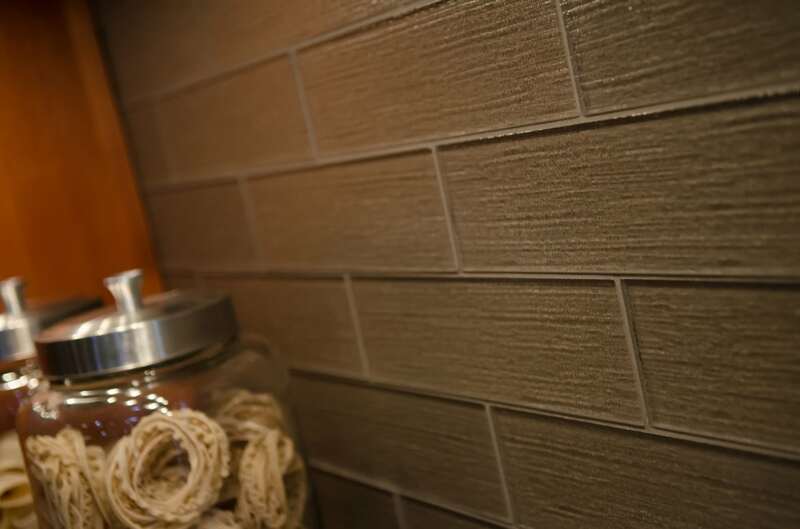 The couple knew they would have a few bottles of wine, but never very much, so Pangaea created a small, custom bottle storage space above the refrigerator. 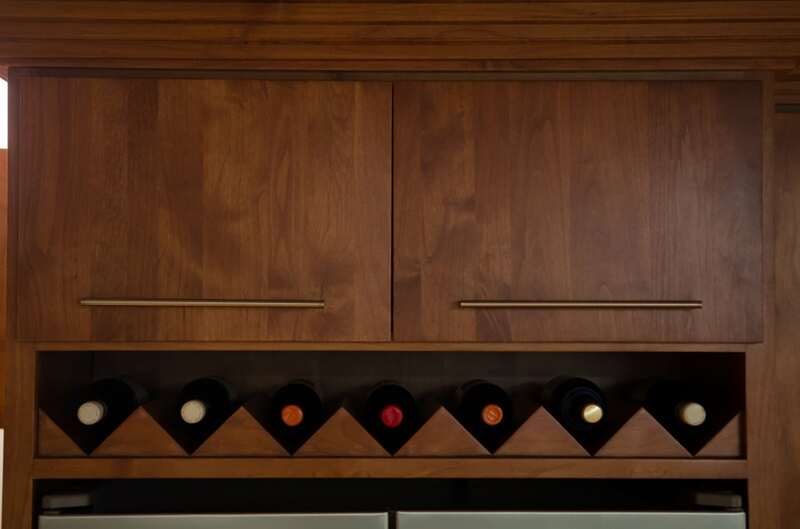 Using a fun zig-zag line, wine storage quickly turns into a unique design element. 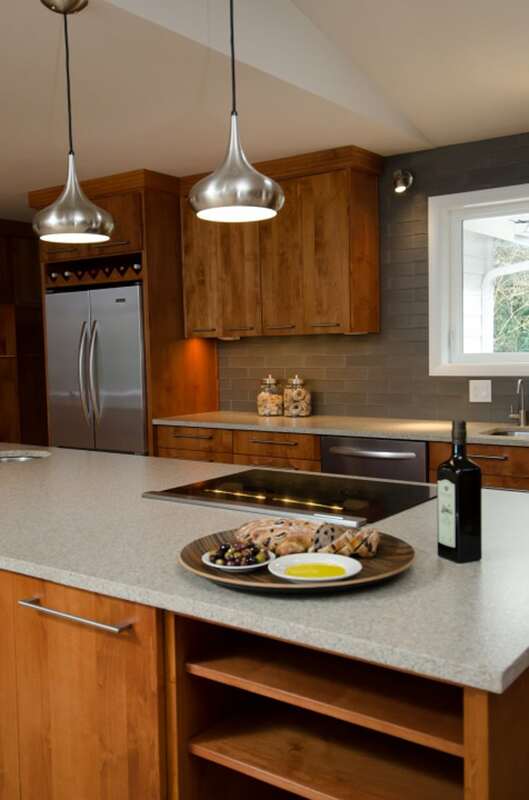 Jamaican Hickory Flooring and sparkling, textured glass accent tile round out the look of this functional dream kitchen.